It’s crazy to think that the World Wide Web was made available to the public 28 years ago, and that Google launched in 1998. In the past 20 years, the internet has changed how we interact with businesses and purchase goods and services, and these changes seem to be accelerating. Part of my job as a digital marketer is to understand the new tools coming to the market, and figure out what will work best for my clients. So far, 2019 is the year of the chatbot. You may have encountered chatbots on websites before – a pop up that asks if you need help and then connects you to a live person to chat. Like most new technologies, some people have enjoyed it while others find it intrusive. I have held off on recommending a live chat chatbot to my clients as they require humans to be available at all times to answer questions. Many businesses simply don’t have the resources to support that, and the last thing we want is bad user experience. In the past few months, I’ve been experimenting with a new generation of chatbots developed by Drift. These chatbots allow for live chat, but also allow for the creation of playbooks and qualifying questions so that your website and the bot are always working for you, whether or not you have a human sitting at the other end. This is where we enter the realm of Conversational Marketing. The way I like to think about it is the experience you have when you walk into a retailer and a shop assistant asks if they can help you find anything. Some people are just browsing and don’t need help. Other people are there to find a specific thing and are ready to buy. The shop assistant helps you find what you want, and helps you purchase a product. You’ll find the same on your website. Some people are just there to browse and do research. Others are there with questions that they need answered, and some want to book an appointment or purchase something right away. Drift’s chatbots and live chat act as the shop assistant, directing your website visitors to the information they are seeking, or answering their questions to help them make a decision. Most websites are still in “broadcast” mode. We are broadcasting the information we want to share, and what we *think* our website visitors are seeking. Social media has gone a long way in changing the way businesses interact with prospects and customers, going from “broadcast” to “conversation”. Your website should also move to “conversation” mode to better serve your website visitors, and ultimately generate more leads and sales. 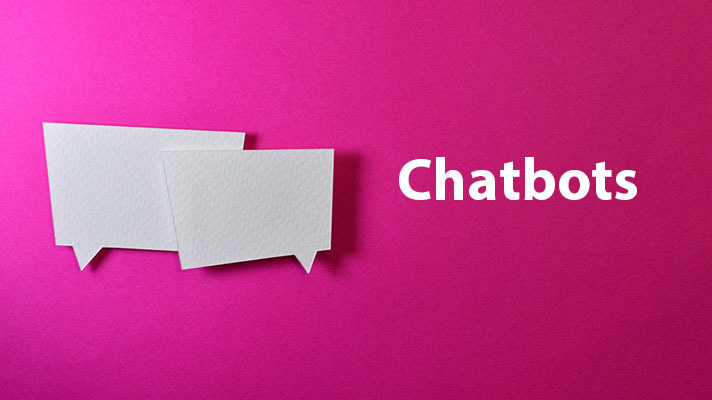 Conversational marketing in the form of chatbots and live chat is a perfect solution for businesses that require a bit of handholding before someone makes a purchase. This includes big ticket items, and businesses that are looking to create long term relationships with their customers (like attorneys, marketers, CPAs, etc.). Conversational marketing is not necessarily a game changer in the Fast-Moving Consumer Goods (FMCG) or Consumer Packaged Goods (CPG) space. Let’s consider big ticket items. Before the average consumer spends over $500 on a product, they’ll want to do research. By adding a chatbot to your website, the website visitor can ask specific questions and get the answers they’re looking for faster. This could be the deciding factor between buying from your company or your competitors. For businesses that need to create long term relationships with their client base – like attorneys, marketers, or CPAs – the first step in the sales cycle is usually to schedule a meeting. Meetings take time, and getting everyone’s calendars to line up involves multiple emails back and forth. The chatbot on your site can ask the user qualifying questions to make sure they’re the right person to schedule a meeting with, and then allow the user to schedule a meeting on pre-assigned dates on your calendar. At any point, you can jump in and use it as live chat to help move the conversation along. Chatbots can be even more sophisticated by delivering a unique message depending on the page the website user is visiting. If someone is looking at your product page for widget X, why not have the chatbot ask if they have questions about that specific product? At any point, a real person within your company can jump in and help move the conversation along. The goal is to get the conversation going and help your website visitors as much as possible. Use the chatbot in the bottom right hand corner of the website right now. We’re using the simplest of chatbots so please leave your email address if we’re away from our desk. We’ll get back to you ASAP!